Selangor, Malaysia, June 18, 2015 - (ACN Newswire) - Waste material generated by Malaysia's sago palm industry has potential for use as an adsorbent for cleaning up oil spills, according to a study published in the Pertanika Journal of Science and Technology. Conducted by Zainab Ngaini and colleagues at the Universiti Malaysia Sarawak, the study found that when sago waste (consisting primarily of cellulose and lignin) is chemically modified using fatty acid derivatives, the resulting material is more hydrophobic than untreated sago waste, implying that it has less affinity for water and an excellent affinity for oil. The authors conclude that chemically modified sago waste may be suitable for applications where engine oil needs to be removed from an aqueous environment. By contrast, untreated sago waste could be used for absorbing oil in a dry environment. 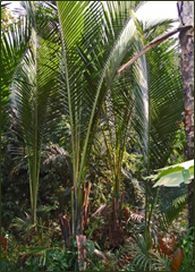 Sago palm is commonly found in tropical lowland forests and freshwater swamps. Sarawak is one of the world's largest exporters of sago products with annual exports of approximately 43,000 tons. However, the mass production of sago produces large amounts of waste residues. From 600 logs of sago palm per day, an estimated 15.6 tons of woody bark, 237.6 tons of waste water and 7.1 tons of starch fibrous sago pith residue are generated. Currently, sago pith residues are either incinerated or discharged into waterways, which eventually contributes to environmental problems. Until now, no studies have examined sago waste's potential as an oil adsorbent, despite its resemblance to previously studied natural oil sorbents such as cotton, wool and bark. Tel: +603 082-581000 ext 2992; Mobile: +6016 8860 502.